Generator is located on the fifth floor of CSI Bathurst, at 720 Bathurst Street in Toronto. Please be aware if you have any physical accessibility needs or visitors who have accessibility needs that our south entrance door cannot be opened or shut easily or at all by a person using a motorized scooter, walker, or with diminished physical strength. As a temporary measure, we are putting our "lift call" button outside the door for people to use should they require assistance. Alternatively, you might wish to direct people to our north side entrance, especially if they are using the elevator, as it is barrier-free. Please contact geoff@socialinnovation.ca if you have further questions. Our office is a semi-open concept with three sections. When entering into our office, our first space has a small kitchen area and a small meeting table. As you turn left into the office space you will pass our second space where Generator team's desks. Continuing into the space a large table in the middle, desks against the walls on three sides and a collection of rolling office chairs, stationary chairs, and folding chairs can be found. We have a kitchenette has tea and popcorn available. Washrooms are outside of the office space down the hall on the fifth floor. An accessible washroom is available on the third floor in one of CSI’s main space. We are blessed with large windows for natural light throughout the day, and fluorescent lights and lamps for the evenings. To be considerate to sensitivities of some of our staff, we try to keep the space scent-neutral, though food being reheated in the kitchen can sometimes produce temporary smells. There is a Green P parking lot at 365 Lippincott Avenue (Click to see map), just south of Bloor Street and two blocks east of Bathurst with designated accessible parking spots in the Green P. The building is a four-minute walk from the lot, west on Lennox Street to Bathurst. 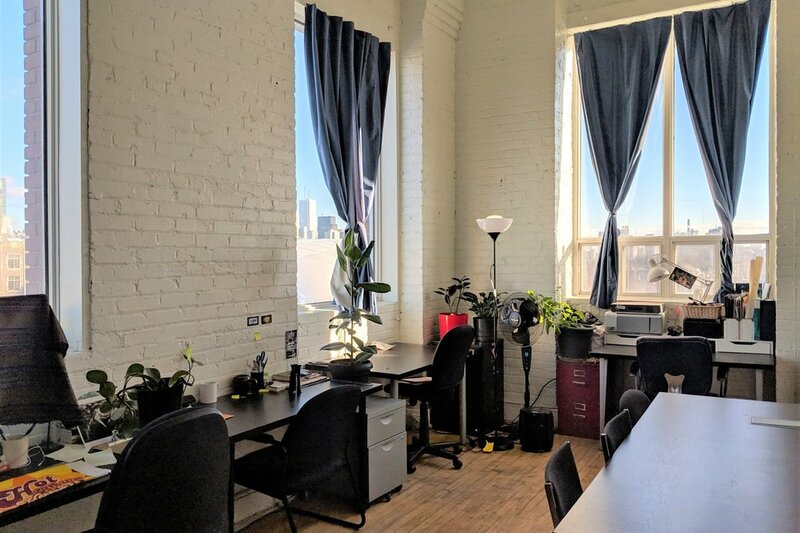 There is also street level parking along Bathurst Street in front of building ($3.00/hr, ID 4316 on greenp.com), but be aware there is no parking from 4PM-6PM Monday-Friday. Generator will not be responsible for any parking tickets received. Bathurst Station (north-east Bathurst St.) travel south 350 meters along the west side of Bathurst St. 720 Bathurst will be on the right. The signage for 720 Bathurst is written in a large size white font above the door. It is a double door entrance. The width of the entrance with one door open is 36 inches wide, if both doors are open the entrance is 72 inches wide. The door on the right opens first. The building is locked after 6pm on weekdays and all hours on the weekend. There is a buzz box on the wall to the left of the door and our buzz code is 201. There is one step to get into the building that is 7 inches tall. There are no ramps available at the main entrance and the entrance are not automatic. No one is available at the door to assist. There are no wheelchair accessible entrances at this time but starting on Monday November 27, 2017, CSI will be installing a wheelchair lift to make the ground floor of the building functionally accessible. The lift will be located at the side entrance off the alleyway to the left of our entrance. This lift will bring you to the CSI space on the Ground Floor. From there, you will be able to access the small elevator (see notes below) that will bring you to the second floor and Generator’s door. A small elevator (60”W x 55”L) is located by the north door of the building. If entering from the north east door, there are four steps going down to the elevator. Stairs are 6 inches high and have rails on either side of the stairs. Elevator entrance width is 30 inches wide. Call buttons are 48 inches (4ft) off the ground and have tactile numbers next to them, but are not brailed. There are no audible signals for when the elevator is called or when the elevator arrives on a floor. No one is available to assist inside of elevator. Please call the Centre for Social Innovation at 416-642-7268 if you get stuck inside the elevator. Go up 5 floors to reach the Generator office. Hand rails are available on the right side. There are metal contrast lines on the edge of the stairs. The stairs are 6 inches tall and 11 inches deep. Climb 15 steps to reach the 1st floor. Then climb 11 steps to reach a mezzanine, and then another 10 steps to reach the 2nd floor. The Generator office (Suite 201) will be to your left at the top of the stairs. There is a sign in front of the door clearly labeled Generator. The entrance is 32 inches wide when the door has to be held open and is not automated. There is a non-slip rug at the entrance of the office, but the surface of the rest of the office is wood. There are no other door ways inside the office although the passage ways are 52 inches wide. The general office space has 20ft by 20ft of flexible, reconfigurable space. There is a meeting table at the centre of the office with 3-5 ft of space around the table, and desks line the walls on three sides. We have a mix of rolling office chairs with and without armrests, stationary chairs with and without armrests, folding chairs and a low couch in the meeting room. Chairs with armrests are 18 inches wide. In general, we try to keep the office relatively scent-neutral, but there is a kitchenette where people will reheat food which can produce some smells temporarily. Down the hall from our office we have we have two gender gender-neutral washroom with stalls for use by anyone in the office. A gender neutral, wheelchair accessible washroom is available on the third floor of the CSI space.